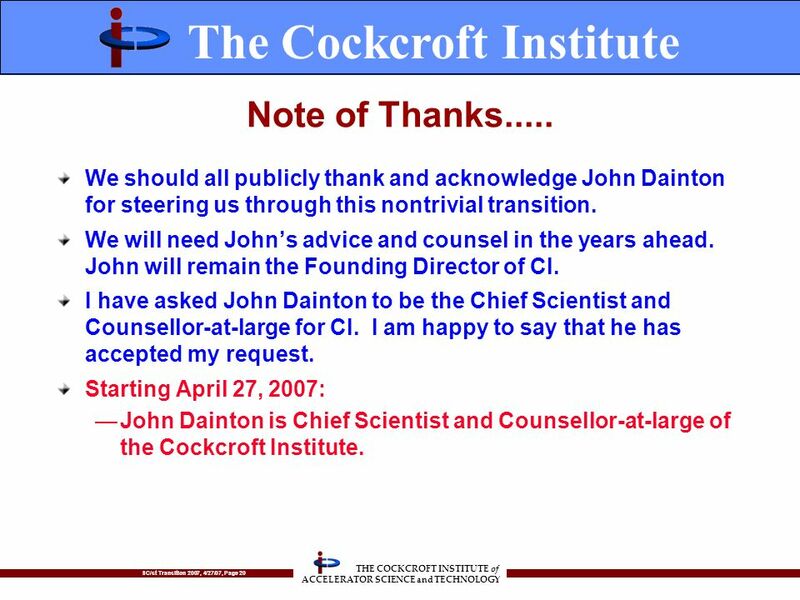 Transition 2007 The Cockcroft Institute Swapan Chattopadhyay Inaugural Director Director April 27, 2007. 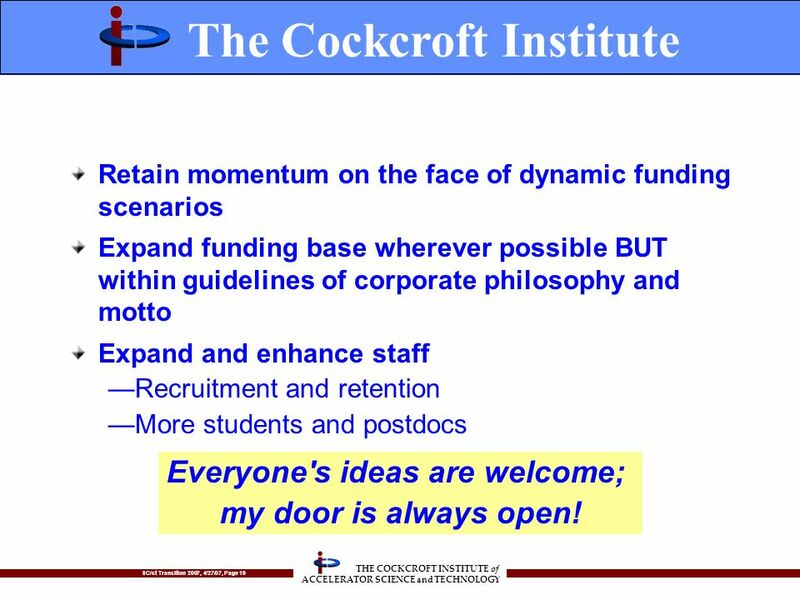 19 SC/st Transition 2007, 4/27/07, Page 19 THE COCKCROFT INSTITUTE of ACCELERATOR SCIENCE and TECHNOLOGY Retain momentum on the face of dynamic funding scenarios Expand funding base wherever possible BUT within guidelines of corporate philosophy and motto Expand and enhance staff Recruitment and retention More students and postdocs The Cockcroft Institute Everyone's ideas are welcome; my door is always open! 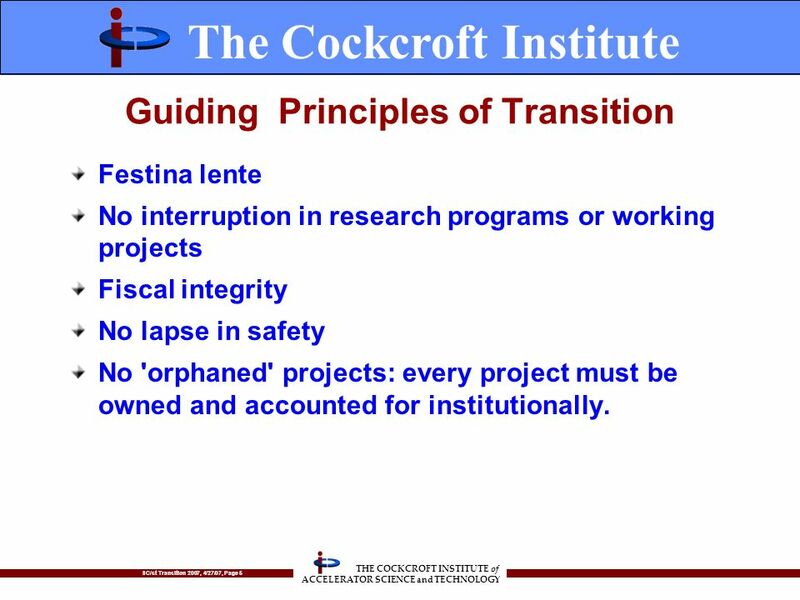 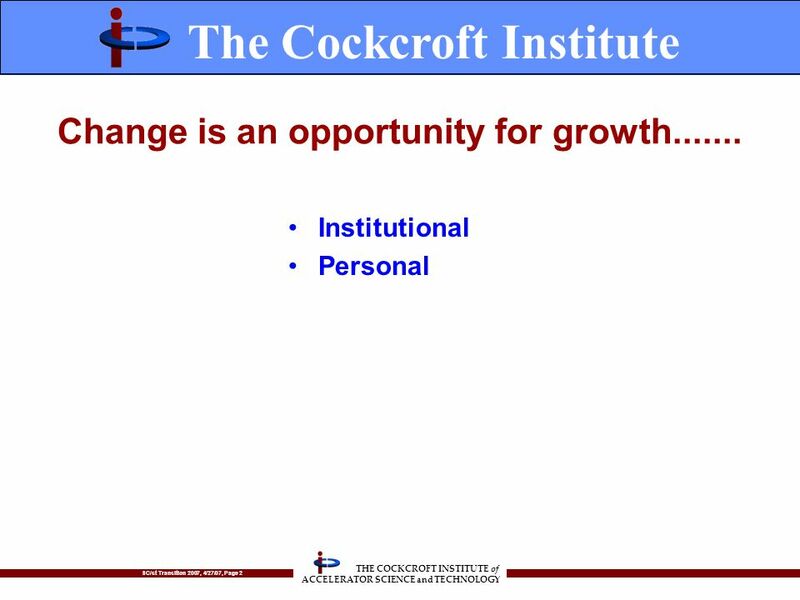 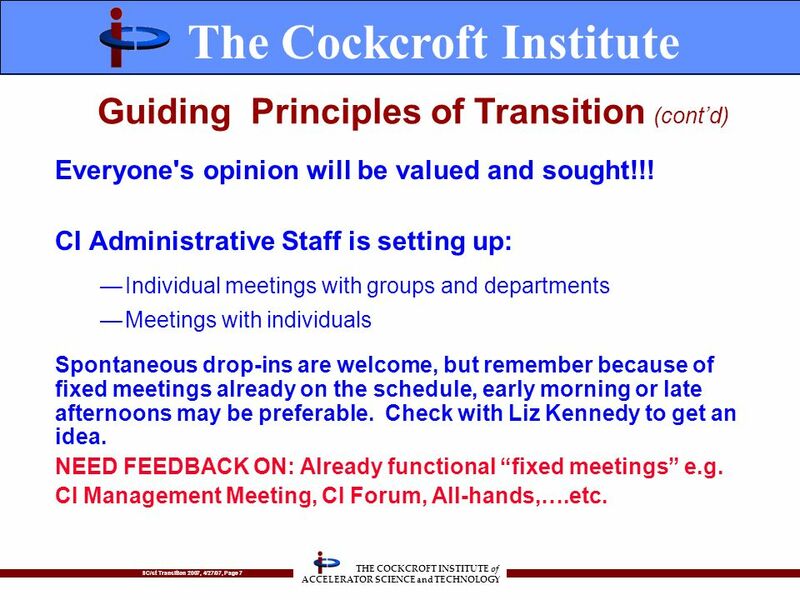 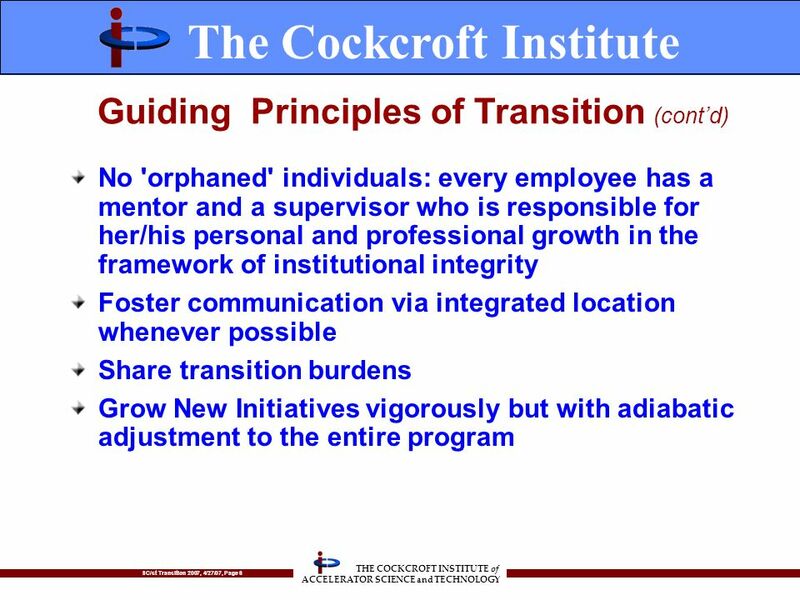 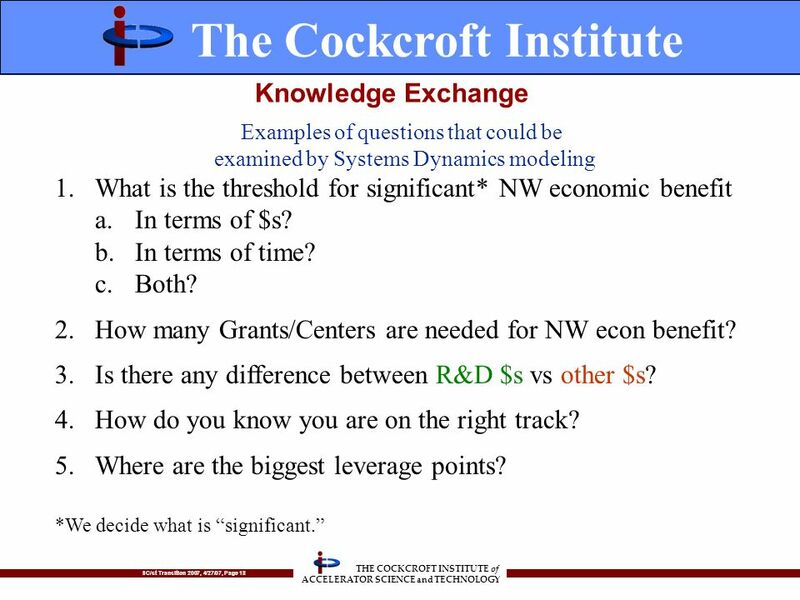 Download ppt "Transition 2007 The Cockcroft Institute Swapan Chattopadhyay Inaugural Director Director April 27, 2007." 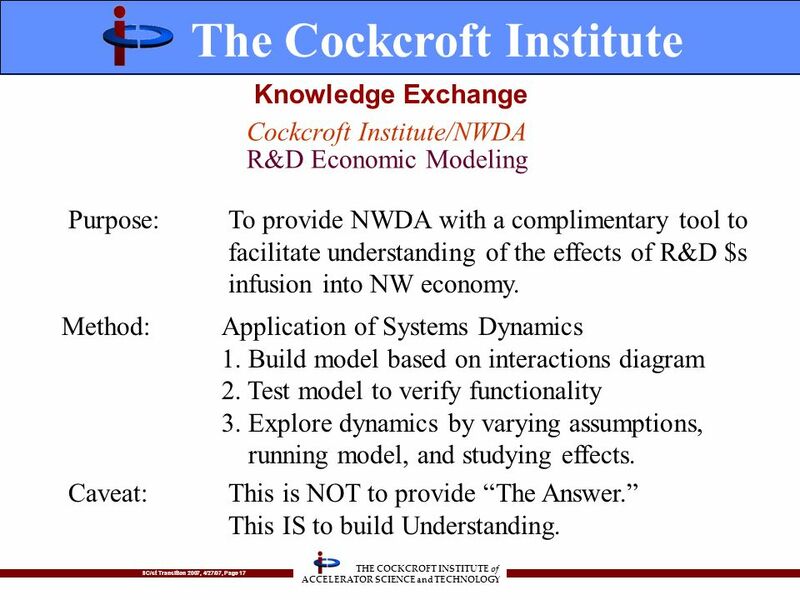 Presentation to the North Carolina DENR/DAQ Mercury/CO 2 Workshop April 19-21, 2004 Presented by Gerald R. Hill, Ph.D. Senior Technical Advisor Southern. 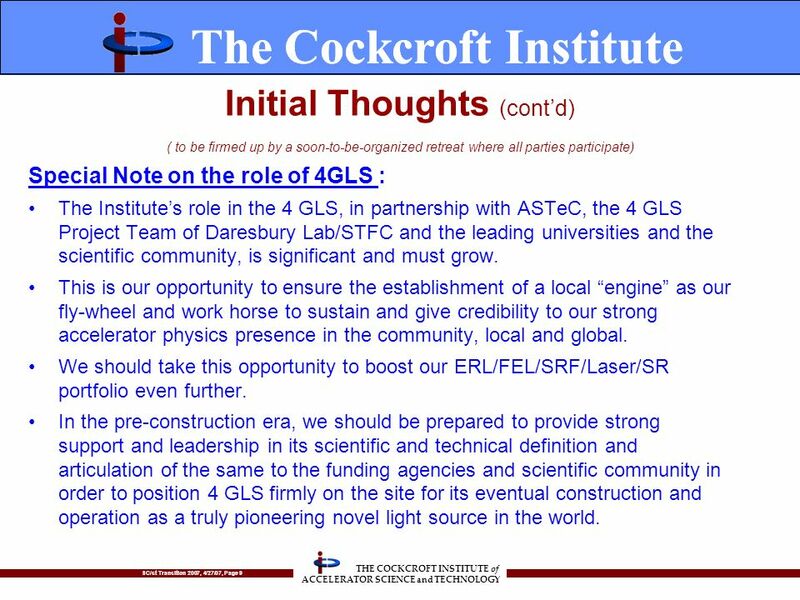 Cockcroft/ASTeC Joint Workshop Jan 06 M W Poole ASTeC Research Strategy Mike Poole Director. 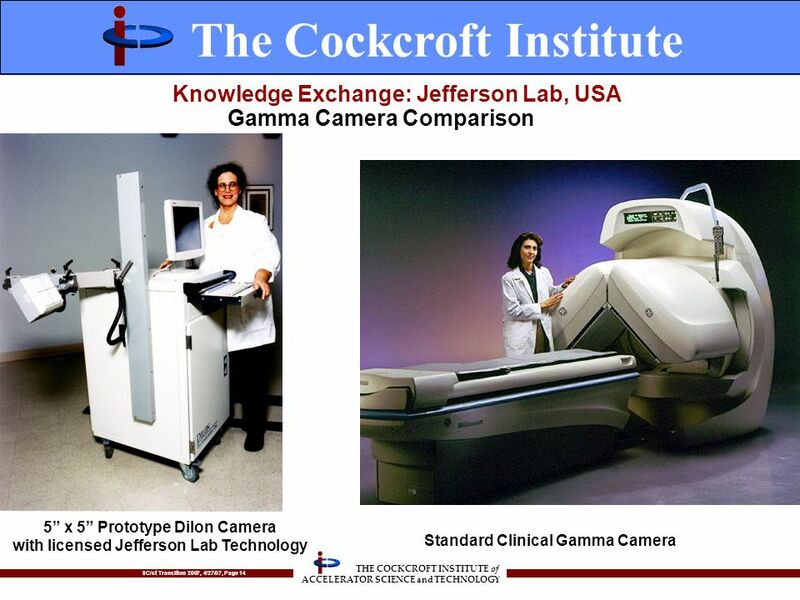 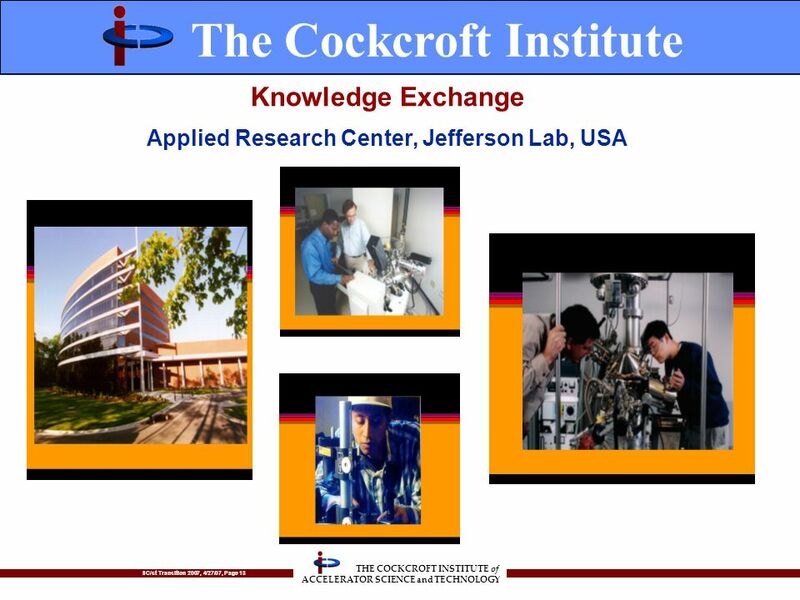 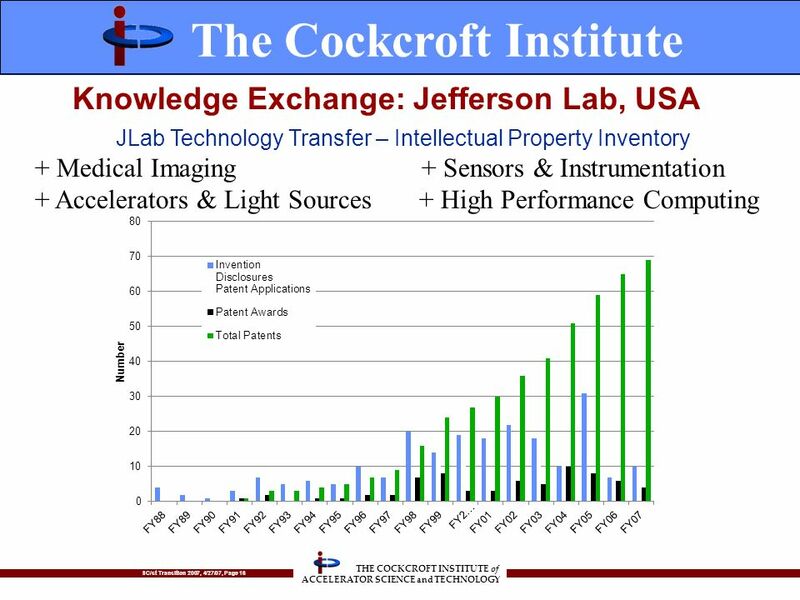 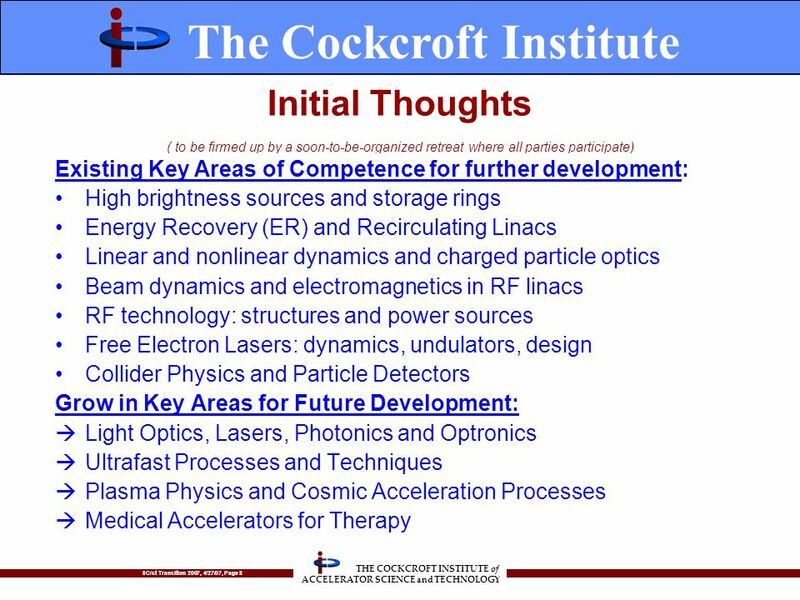 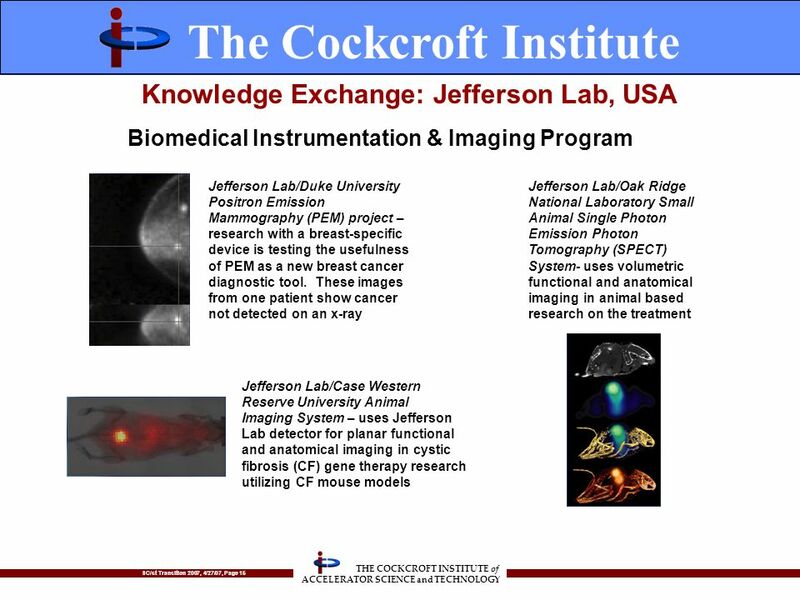 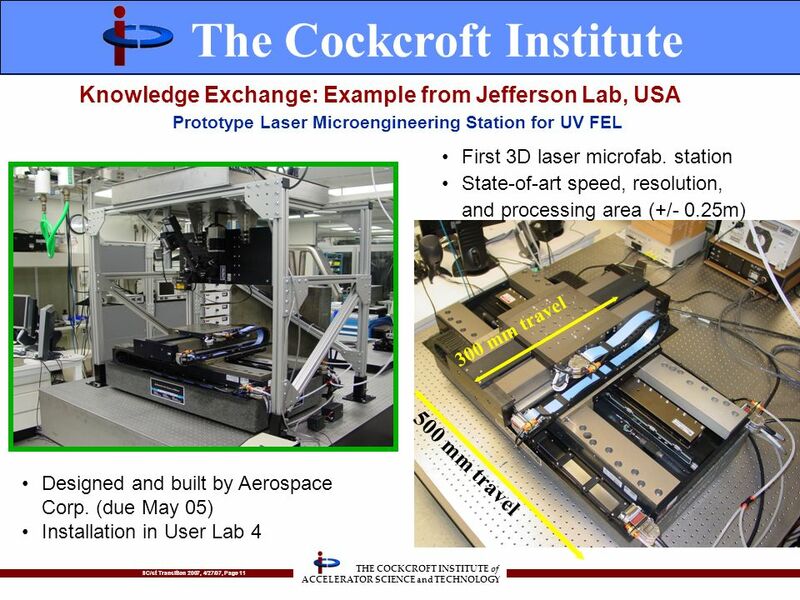 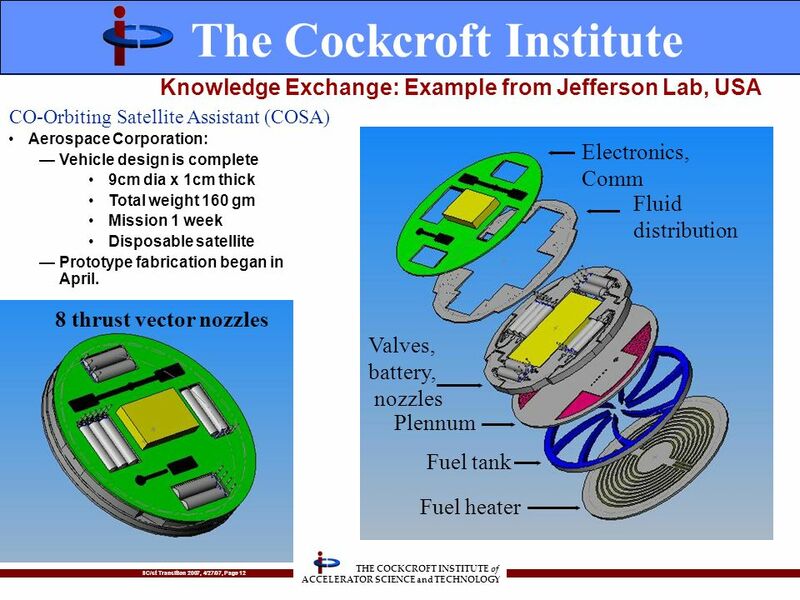 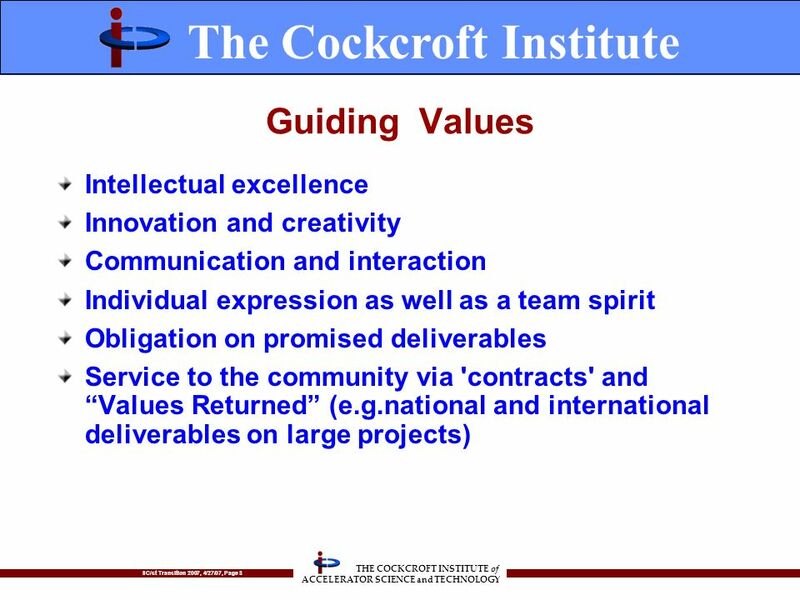 The Cockcroft Institute An International Centre for Research in Accelerator Science and Technology http;// The Cockcroft. 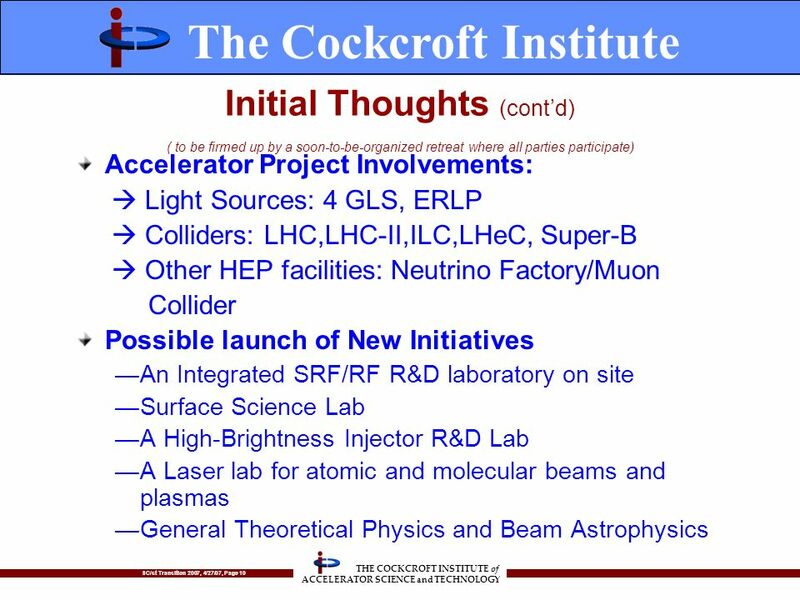 FALC Technology Benefits study P. Grannis Beijing GDE meeting Feb. 7, 2007 FALC = Funding Agencies for Large Colliders is composed of representatives from.